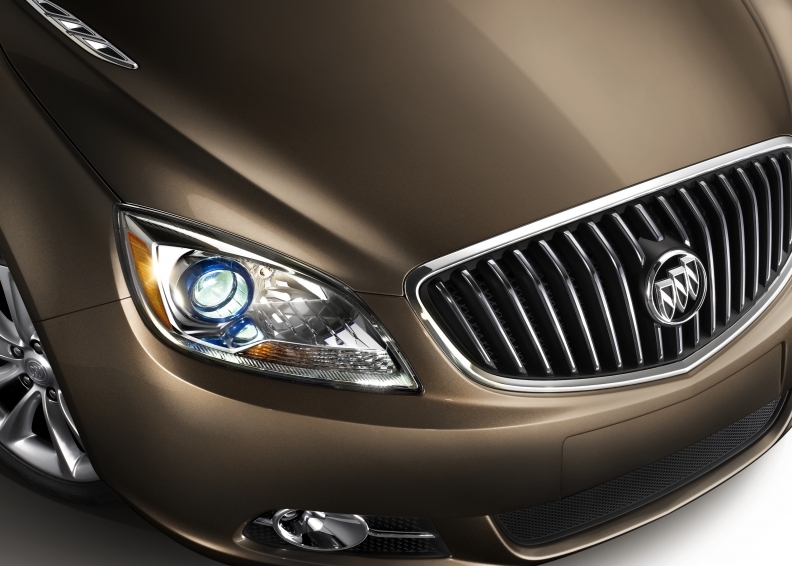 The compact Buick Verano sedan is a part of the future product plans for the GM brand. DETROIT (Bloomberg) -- General Motors Co.'s GMC and Buick, the fastest-growing brand in the U.S. this year, are considering a courtesy loaner program for customers getting warranty service on their vehicles to build awareness of the company's products. GM may start the service in the “next couple weeks,” Brian Sweeney, vice president of sales for Buick and GMC, said in a telephone interview. The program would seek to get GMC Acadia owners into a Buick Enclave, for example, and build recognition of more GM vehicles, he said. “We want to expose customers to other Buick and GMC products,” said Sweeney, who last week met with about 900 dealers that sell the two brands. Dealers selling Buick need to change and meet the expectations customers have when shopping for a premium car, said Mike Bowsher, co-chairman of the national dealer council for Buick-GMC and president of Carl Black Automotive Group. Some Buick-GMC dealers already make loaner vehicles available to customers, Bowsher said. GM may push dealers to make the practice standard, he said. Buick outpaced all other brands with a 58 percent increase in U.S. sales through September compared with the same nine months of 2009, according to the Automotive News data center. GMC sales rose 31 percent. GM pared its U.S. brands to Chevrolet, Cadillac, Buick and GMC as part of its bankruptcy last year. Hummer, Saturn and Pontiac were shuttered and Saab was sold as the company received $50 billion from the federal government while restructuring. GM said last week it would add the Verano compact car to Buick, the brand's first small car in more than 20 years. The company hasn't announced when production of the Verano will begin at GM's Orion assembly plant in Orion Township, Mich.
Buick also will add a sport-utility vehicle that will be smaller than the Enclave, and a higher performance version of the Regal sedan called the Regal GS, Sweeney said. The Verano and smaller SUV follow new models including the Regal earlier this year and the LaCrosse mid-sized sedan last year.